When it comes to marketing your company online, it is crucial that your strategy is driven by traditional PR methods to ensure a successful, far-reaching campaign. 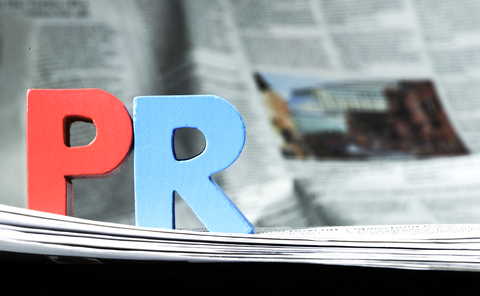 We’ve taken a look at how ‘old-hat’ PR tactics can fuel your search strategy. A traditional way of using PR for your business would be to write a press release that announces a recent development to journalists and industry peers. As well as going down the usual route of placing press releases in magazines and newspapers, or sending them out to a variety of journo networks, you will generate interest from a wider audience by posting the release online. There are plenty of online magazines, blogs and other digital outlets that welcome press release copy as long as the piece is professionally written, presented well and is fit for their readers. Most of these outlets allow you to add vital backlinks into the content, too (although be aware that you may need to pay a small fee for this service). Writing and posting quality content, like guest blogs and analysis articles, will give weight and authority to your brand. The key is to search for the right homes for your blogs and work with websites that are both relevant to your industry and also receive a reasonable amount of traffic. You also need to ensure that you trade in your work in return for a link back to your own website. Google’s recent Panda 4.1 update has ensured that sites with poor or thin content are being prevented from ranking well within the organic search listings. With this in mind, it is even more important that the content on your pages is of good quality and delivers value to your audience. Investing time into your onpage content ensures your site is achieving the best possible rankings – if you’re not a ‘wordy’ person, or haven’t got time to generate the copy in-house, we’d always recommend hiring the professionals. Commenting on relevant industry news, keeping your followers informed about what you and your employees are getting up to, and even perhaps engaging your audience within a question and answer session, will show that you are well-informed, passionate about your industry and keen to develop relationships with your peers and potential partners. Regular blogging allows you to communicate your thoughts and feelings, so is a great PR tool that will help give your brand a distinctive personality. Adding fresh content to your website in this way will work wonders for your domain authority, too, giving you a great SEO boost. Once you’ve established your blog, social media can be used to promote what you’re doing. A retweet, favourite, comment or share from a high-profile company or brand could mean a great deal of fresh clicks to your website. Make sure you install all the relevant social analytics tools so you’re able to access data on how much exposure your posts are getting and what kind of content is generating the most interest – this information can then be used to support your PR strategy and ensure your marketing and advertising budget is going into the right areas. Although both disciplines have typically been two distinctive marketing practices, the goals of the SEO and the PR manager are growing increasingly similar. The key to a successful online marketing campaign is to ensure your PR and your SEO go hand in hand in order to build a strong, authoritative brand that will be relished by the search engines.